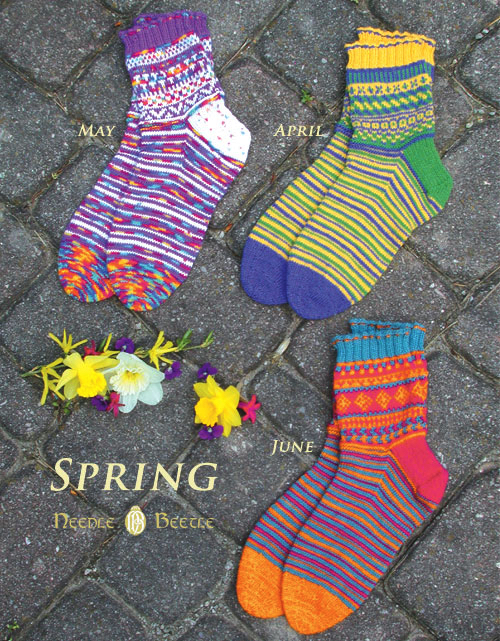 3 pairs of stranded socks & striped socks that are sure to put a "spring" in your step. Worked in the round. Written knitting instructions and charts. Four 2mm(US 0) and four 2.5mm(US 1) double-pointed needles or size to obtain gauge. 8.5 sts = 1"/2.5 cm with 2mm(US 0) needles over stockinette st.